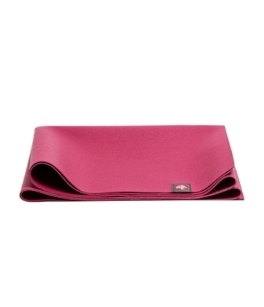 Manduka's® eKO SuperLite Travel Yoga Mat provides you the best portability and performance to practice yoga whenever and wherever. Fits easily into travel bags and suitcases. Provides superior grip and traction. Free of toxic plasticizers and dyes. Made from natural, biodegradable tree rubber.